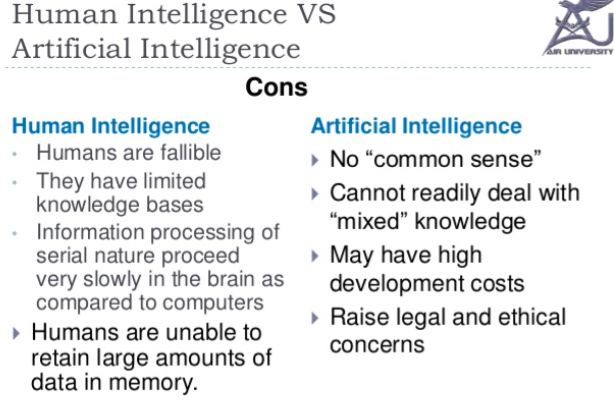 • How does a computer mimic the neural networks of the human body? 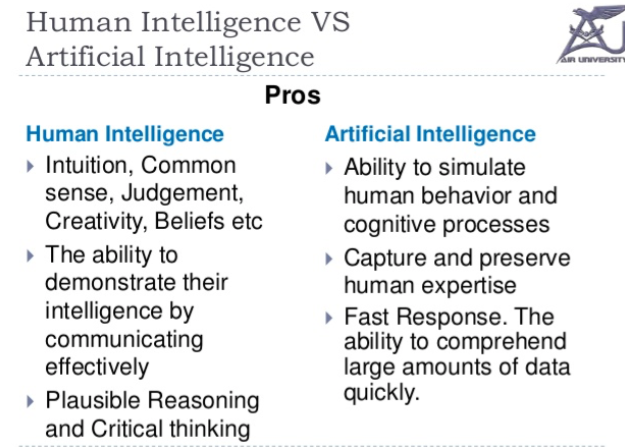 • How do computers abilities compare to that of humans? • Can computer do some things better than a human can? ​• Will robots soon be smarter than humans? Intelligence is the ability to learn and to deal with new situations. When a computer or a robot solves a problem or uses language, it may seem to be intelligent. ... It is called artificial intelligence, or AI. L'intelligence est la capacité d'apprendre et de faire face à de nouvelles situations. Lorsqu'un ordinateur ou un robot résout un problème ou utilise un langage, il peut sembler intelligent. ... On l'appelle cela l'intelligence artificielle, ou IA. 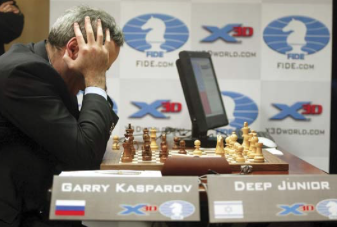 Russian chess player Garry Kasparov thinks about a move during a match against a computer. The computer, named Deep Junior, was programmed to play chess. Le joueur d'échecs russe Garry Kasparov pense à un mouvement lors d'un match contre un ordinateur. L'ordinateur, nommé Deep Junior, était programmé pour jouer aux échecs. Across the Pacific, Chinese search giant Baidu is also developing a service to help the visually impaired perceive the world through sound. But rather than describing the content of an image, Baidu’s DuLight (see video below) aims to describe the objects one would experience in the real world. The device attaches to an individual’s ear like a Bluetooth headset. When DuLight is pointed forward, it scans the objects within its vicinity and, using Baidu’s highly sophisticated image recognition system, conveys the objects to its wearer. Baidu claims the device can identify more than just everyday objects – DuLight can apparently recognize product labels, street signs, landmarks, and even the faces of friends. Coding Artificial Intelligence and Machine Learning with Kids Using … Starbursts?